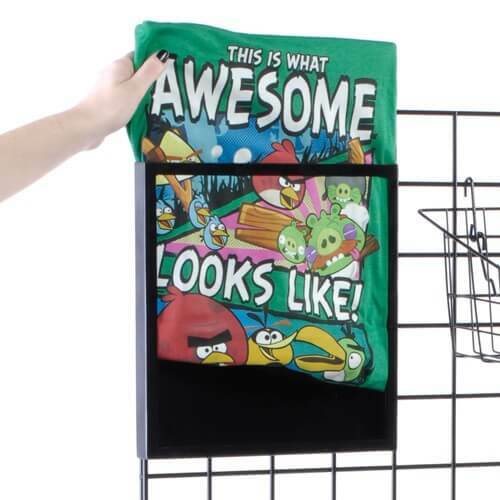 A T-Shirt Display Frame For Gridwalls is made with black powder coated steel with an acrylic insert to protect the contents from dust and dirt as well as keeping the shirts flat for easy viewing. When you place the acrylic cover in front of the shirt you create a protective front but if you are more concerned with the article of clothing being as straight as possible then just slide the acrylic behind the front layer to keep it stiff and easy to view. 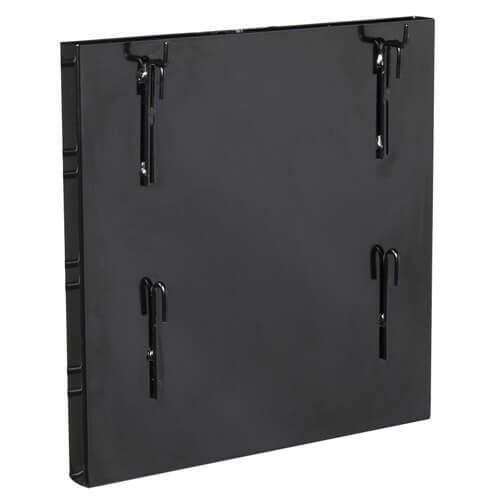 This shirt protector can go onto any of your gridwalls and grid panels to display what you offer for customers to buy. 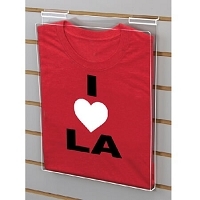 Graphic shirts are a huge business and the more you offer the better for your bottom line. 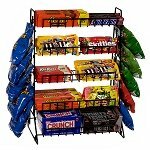 Make use of the metal frame shirt display and you can now store the merchandise in the back and let customers request from the images they see in each frame or organize cube style racks under the metal frames so they can grab their size and already know they love and want to purchase it. Save yourself so much headache when patrons don't feel they have to dig through piles of folding clothing. 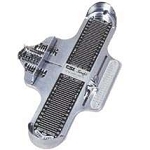 Order your frame for grids today!